All recipes contain NO wheat, corn, rice, soy, meat by-product or artificial colours, flavours or preservatives. I've had varied amounts of success with other brands, but my dogs always love this brand. Noticably better for their tummies, too. 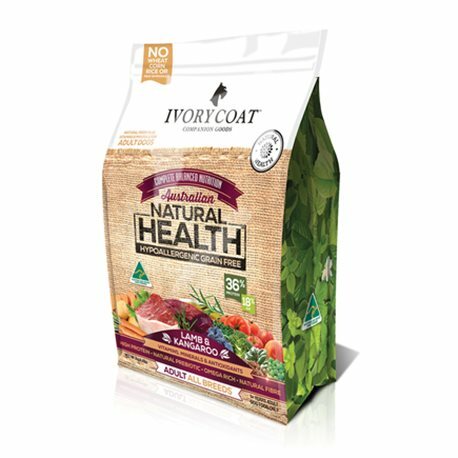 my bulldog loves this lamb and kangaroo doggie food. good size pieces he can munch on easily and has been great for his digestion. great product. My Gr8 Dane seems to have taken a shine to this and likes to eat it without any of the additional food we usually serve with the dry foods. This seems to be the better one of the several we tried so far.